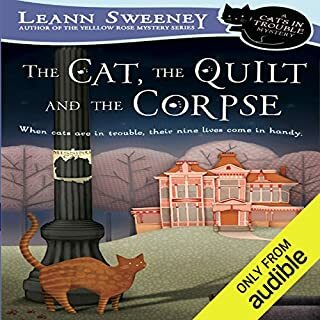 Leann Sweeney's Yellow Rose Mystery series has found fans in listeners who enjoy a tall glass of sweet tea and quirky Texan characters. 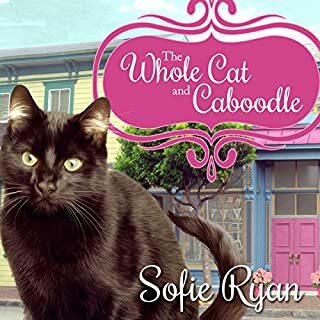 In the series debut, Southern belle Abby Rose stumbles upon the secrets of her heritage when she becomes determined to solve the mystery of who killed her gardener. As the list of possible suspects increases, Abby learns her past is shrouded in mystery. ©2007 Leann Sweeney (P)2008 Recorded Books, LLC. In Shoot from the Lip, Abby Rose of the Yellow Rose Detective Agency gets visited by the host of the Reality Check television show, which intends to build a new home for 23-year-old Emma Lopez. Emma has been guardian of her two younger brothers and sister since she was 16, putting herself through college and now putting the older of her brothers through college. Venture, the parent company of the television show, received an anonymous letter nominating Emma for Reality Check and stating that Emma had a baby sister who disappeared years earlier. Venture wants to hire Abby to look into the case, but Abby refuses to help the TV show. However, she goes to see Emma to see if she can be of service to the young woman, taking along her psychologist sister, Kate. Abby's lawyer can't get Emma out of her contract, so they witness the demolition of Emma's derelict old house left to her by her soldier father, who died in the bombing of the military base in Beirut before Emma was born. Under the house the demolition experts discover the remains of a baby. Could they have just found Emma's missing baby sister? Abby gets involved in investigating the case, using the help of Duchet Peters, the police partner of Abby's boyfriend, Jeff, while Jeff is busy doing personal business in Seattle. Abby gets the idea of looking at cold cases in the event that Christine O'Meara may have been murdered. A reconstruction of the body that might have been Christine's looks identical to the photograph Emma has of her mother. In the meantime, Venture's more high profile show, Crime Time, wants to feature Emma's story and starts following Abby around as she tries to get to the truth. 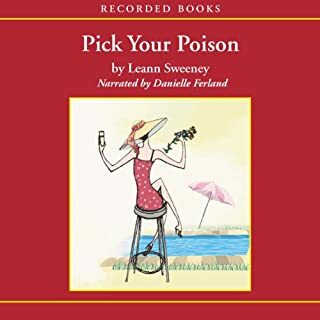 I have yet to read a book by Leann Sweeney that I haven't loved. Shoot from the Lip has a riveting plot that kept me on my toes the whole time I was listening to it. It has so many twists and turns that I found myself having surprise at the events that took place. I had fun seeing the way Abby deals slyly with the television people, for whom she has real contempt, as we see their fake personae. The book kept me loving it throughout the whole text. 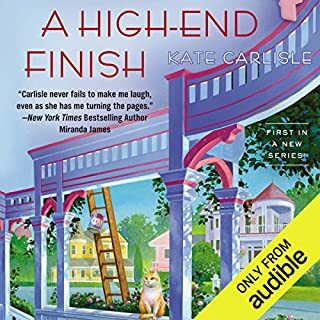 I appreciated the characters of this book, getting to revisit with Abby and Kate. I really enjoyed the character of Duchet, who works with Abby in the absence of Jeff. Duchet likes being a ladies' man, giving compliments to Abby, Kate, and other women. I was happy to see Kate break up with Terry, her former live-in boyfriend who controls Kate's behavior too much. However, Kate immediately starts seeing a new man, Clint Rourke, a pharmaceutical sales rep, which Abby feels is too soon to start dating again. We have empathized with Abby's clients in the past, but Emma is especially one we connect with, a strong young woman determined to fight for her rights and those of her family. This book is very ably performed by Danielle Ferland, who serves as a strong narrator of the books in this series. She sounds just like the ideal Abby, with strong other voices for the other characters. In addition, she uses strong expressions, interpreting the book in a way that I really appreciated. I really had fun with listening to Shoot from the Lip. 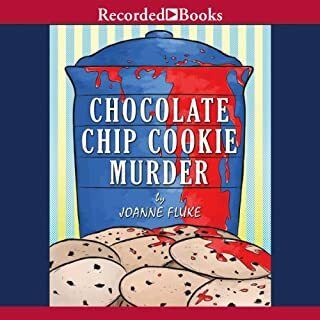 Though Sweeney is known for her cozy mysteries, this book does not fit that category as well, with some bad language and a little more violence than typical for a cozy. 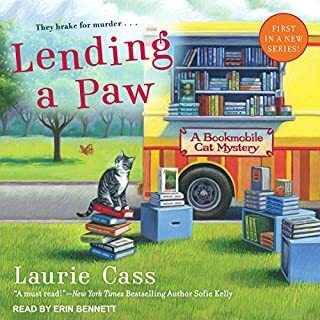 However, despite my preference for cozy mysteries, I really enjoyed this book a lot. I give it five stars. Good if you like this series. This seems to be the second to the last book in this series. I enjoyed the relationships in this one more than the first three. I liked out and would listen to it again at a later time. Well read and interesting story. Would read another in the series. Clever plot, no gore.